Officials in Arlington County, Virginia Tuesday laid out details of the deal that will give Amazon incentives to bring its headquarters expansion to the Washington, D.C. suburb. Why it matters: A vote by the Arlington County Board on the draft deal approaches amid mounting scrutiny of financial incentives promised for corporate expansions. A political backlash to Amazon's planned office in New York — announced as a pair with Virginia's — already caused the company to back out. The bottom line: The deal includes the expected estimated $23 million in financial incentives — and seems unlikely to quell activist fears that the county is making huge concessions to Amazon, while getting little in return. Details: The agreement is between Amazon, Arlington County and the county's economic development organization. The bulk of the incentives for the project are coming from the state of Virginia, and have already been approved. A system by which Amazon will receive a portion of any increase in a tax on travelers in hotels or other lodging for 15 years. To receive the benefit, Amazon has to occupy a certain square footage of office space, with the target increasing each year until 2035. The deal also includes a confidentiality clause that gives Amazon advance notice of public records requests. Yes, but: The agreement gives no indication that the county will insist Amazon meet demands from critics, like dictating conditions for construction workers on the project or abandoning the work it does for Immigrations and Customs Enforcement. "I would have liked the board to have gotten some commitments from Amazon, and it’s shocking that they get nothing from Amazon," said Roshan Abraham, a member of the steering committee of progressive group Our Revolution Arlington. "This is very much a one-way deal where all Amazon has to do is show up." What's next: The board is expected to vote on the proposal on March 16. Amazon's Valentine's Day decision to break-up with New York before New York broke up with it looks to be the crescendo in a major sea change involving big companies and the municipalities they would like to call home. Between the lines: As Axios' Erica Pandey reported this week, public outcry against spending taxpayer dollars to subsidize big companies is spreading. Where the trend has been perhaps most pronounced and unexpectedly so recently has been in the NFL. The Los Angeles Rams' new $5 billion mixed-use stadium facility will be privately funded, and include an entertainment complex as well as a skilled jobs and apprenticeship component where 30% of positions are dedicated to local residents. That's in stark contrast to the Atlanta Falcons, who got roughly $700 million from taxpayers to build Mercedes Benz Stadium, and the Minnesota Vikings, who secured nearly $500 million of public funding for U.S. Bank Stadium in deals signed earlier this decade. Bonds used to finance professional sports stadiums cost U.S. taxpayers more than $3.7 billion between 2000 and 2014, a 2016 study by the Brookings Institution found. The Oakland Raiders still haven't secured a location to play their home games next year, as politicians in Alameda County, Calif. have refused to let the Raiders play in the Oakland Coliseum after their lease expires. The Washington football team was rebuffed earlier this week by Maryland Gov. Larry Hogan who said he was stopping his pursuit of building a stadium, at least "at this time." Washington's owner, Daniel Snyder, has attempted to secure competing offers from Washington D.C., Maryland and Virginia, much as Amazon did with its HQ2 search. 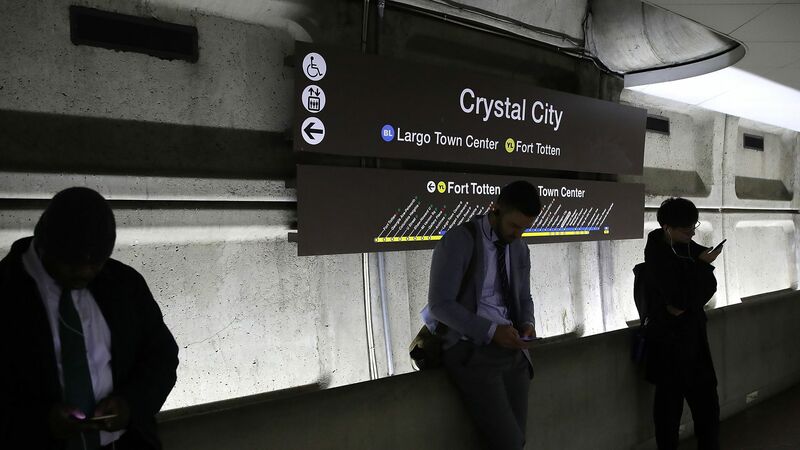 The bottom line: What may be most notable is the tech companies that have secured deals with cities for new buildings during the time Amazon has been mired in bad publicity for its fight over HQ2, Axios' Ina Fried notes. Apple set up shop in Austin, pledging to invest $1 billion there. It's also setting up new offices in Seattle, San Diego and the Los Angeles suburb of Culver City and expanding operations in Pittsburgh, New York, Boston, Portland, Oregon and Boulder, Colo.
Impact: No public search, minor tax breaks. Google announced last year a major expansion in New York, spending $2.4 billion to acquire Chelsea Market and then, in December, announcing a further $1 billion investment. The company announced it was spending $13 billion this year on data centers and offices throughout the U.S.
Impact: Lots of jobs in New York, no tax breaks.